OTTAWA – February 2, 2011 – Recycle My Cell, Canada’s national recycling program for mobile phones and accessories, today announced the winning schools in the Recycle My Cell Challenge. Held in partnership with the 2010 Waste Reduction Week in Canada, Canadian secondary schools and post-secondary institutions were challenged to recycle as many old wireless devices possible, including cell phones, smartphones, wireless PDAs, pagers, accessories and cell phone batteries. 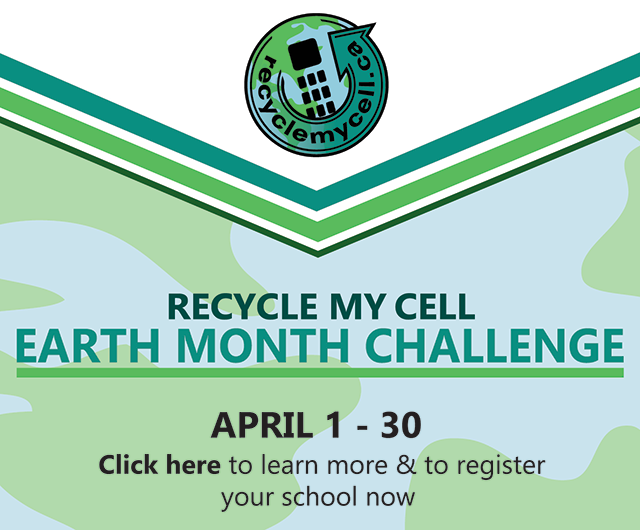 From October 18 to November 30, 2010, students from 70 schools from six provinces participated in the Recycle My Cell Challenge and collected almost 4,000 wireless devices, as well as close to 200 kilograms of batteries and other wireless accessories. “We are thrilled with the extraordinary efforts made by the students that participated in the Recycle My Cell Challenge,” said Bernard Lord, President and CEO of the Canadian Wireless Telecommunications Association. “On behalf of Canada’s wireless industry, I want to commend these enthusiastic environmental leaders of tomorrow”. The school in each province that collected the most cell phones, based on student population, will receive a cash donation to support the school’s green initiatives, as well as a new smartphone that the Principal will award to a student who has shown outstanding leadership in environmental protection. The Recycle My Cell Challenge was made possible by the generous support of the Recycle My Cell Partners: Bell, GEEP Inc., GREENTEC, LG Electronics, Motorola, MTS, Nokia, ReCellular, Inc., Research In Motion, Rogers Communications Inc., Samsung, SaskTel, Sims Recycling Solutions, Sony Ericsson, TBayTel, TELUS, Videotron, Virgin Mobile Canada and WIND Mobile.